Bink finally has a place to call home, but it's been a long struggle to get there. The family who originally brought Bink home didn't know how to take care of her needs, so they put her in a dog crate, where she stayed most of the time. Then Bink went to a second family, who also kept her locked up in a small enclosure. Bink couldn't get the exercise or socializing she needed to be happy. 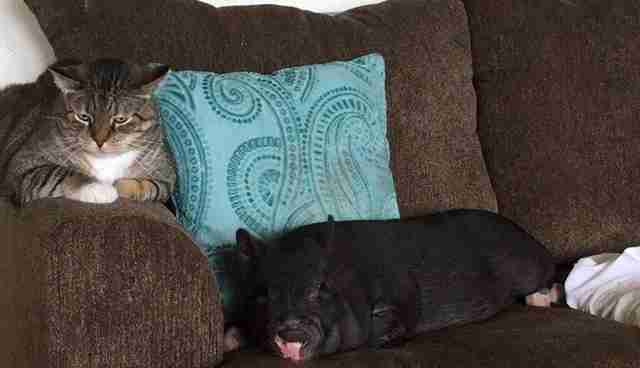 Finally, a wonderful woman who knew about the complexities of keeping a pet pig rescued Bink. 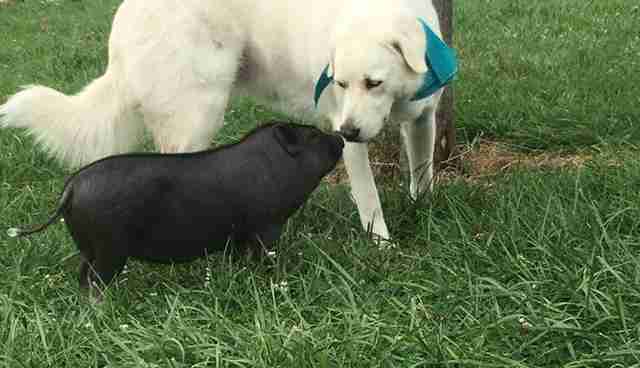 But after the woman fell ill, she realized she couldn't give Bink what the pig really needed after all. She called Kail Marie, founder of Tallgrass Parrot Sanctuary in Lecompton, Kansas, desperate for help. "We of course could not say no," Marie told The Dodo. 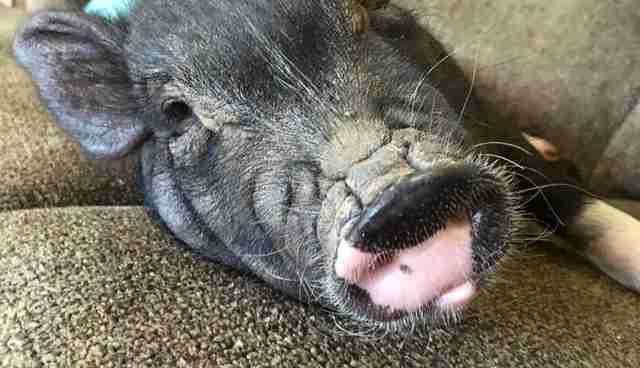 But why was a parrot sanctuary interested in rescuing a pig? 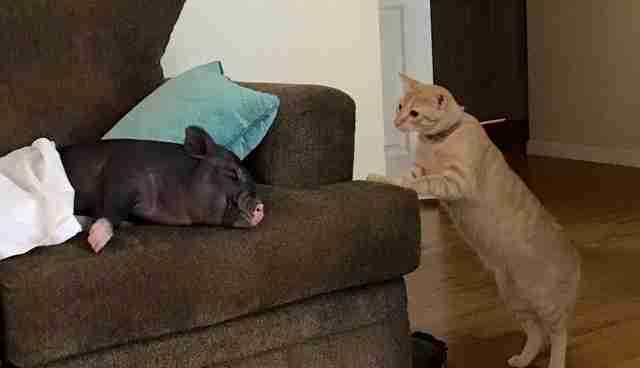 Like parrots, pigs are misunderstood pets. People often get mini pigs without doing their research first, which ends up, in most cases, being a disaster for the animal, according to the sanctuary. 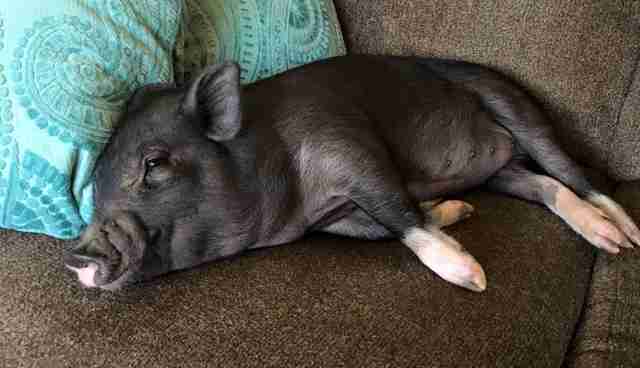 Unfortunately, teacup pigs like Bink are often given up and abandoned, since most people don't know the needs pet pigs have when adopting them. Not only are pigs illegal to keep as pets in some places, but as these pigs grow they need special food and veterinary care to stay healthy. 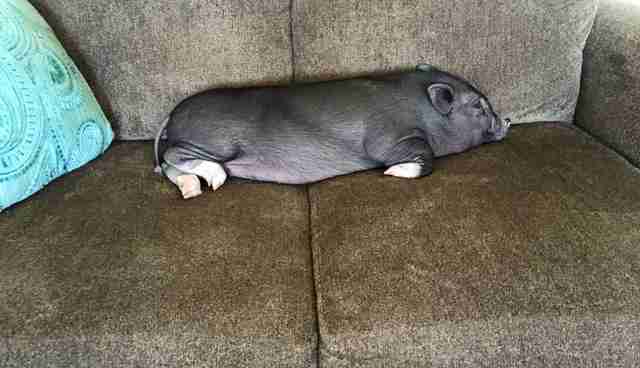 People also don't often realize that teacup pigs won't stay teacup-sized for long. Some try underfeeding their teacup pigs to keep them small, which results in terrible health and malnourishment. "Bink will grow to 60 to 100 pounds, which is more than the people bargained for," Marie said. "Breeders breed them too young, so when perspective buyers are shown the parents to prove that they are mini pigs, they are being sold a lie," Marie said. And too many people are buying it. So, thousands of pigs across the U.S. are being given up to shelters when they become too big to handle. "In 25 years of having the sanctuary, we never were asked to take pigs," Marie said. "Now, however, we are getting calls weekly." "We love pigs," Marie said, "but we know exactly what we are getting into." Luckily, Bink has finally found a home where she can truly feel the love. 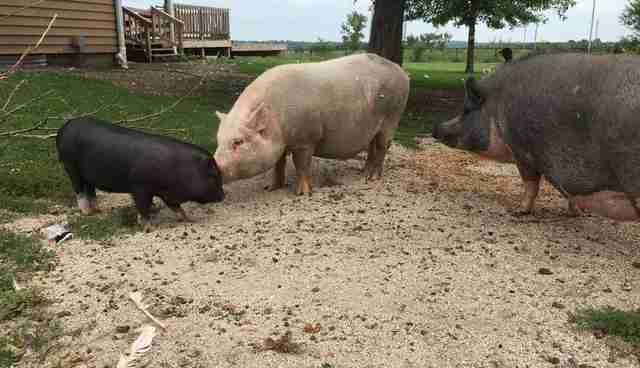 Tallgrass Parrot Sanctuary has four pigs right now, and plans to take in five more in the next few months. Click here to learn how you can help , or click here to see the sanctuary's Amazon wish list.